Ko te kaupapa o te tū, he maumahara ki ngā hoia ANZAC i whawhai mō ō tātou whenua i te pakanga tuatahi o te ao. The theme of our performance today is to commemorate the ANZAC’s and all those who fought for our country. Kia pai tā koutou mātakitaki mai We hope you enjoy our performance. This year Parkvale sent two 60-strong kapahaka groups to the Ngati Kahungunu kapahaka festival held at Richmond School last week. 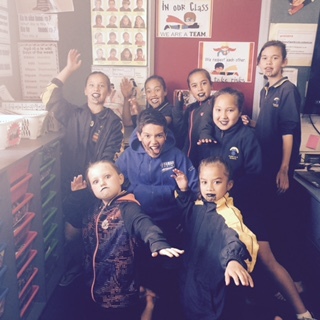 It was our privilege as teachers, tutors, parents and whanau to witness a stunning performance from both groups. Each group demonstrated PRIDE, PASSION and PERFORMANCE-PLUS. Ka rawe ō mahi tāmariki ma! Well done to both parkvale kapa haka groups you both had a great and awesome day I hope you all gave it your all and represented parkvale with all your parkvale PRIDE.